You are here: Home / June Sewalong 2011 / Preparing for the June Challenge! Preparing for the June Challenge! 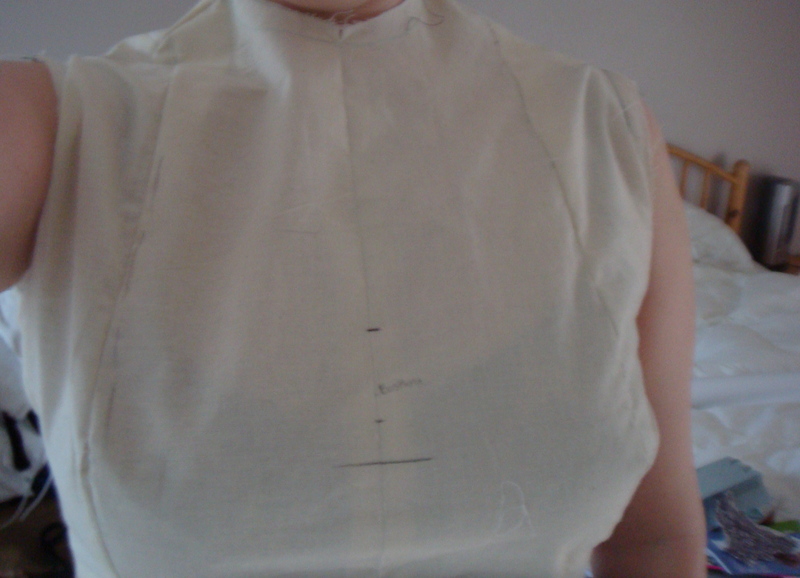 Cue horrid picture of myself wearing toile made from the bodice block – Can anybody pull off wearing a toile?? 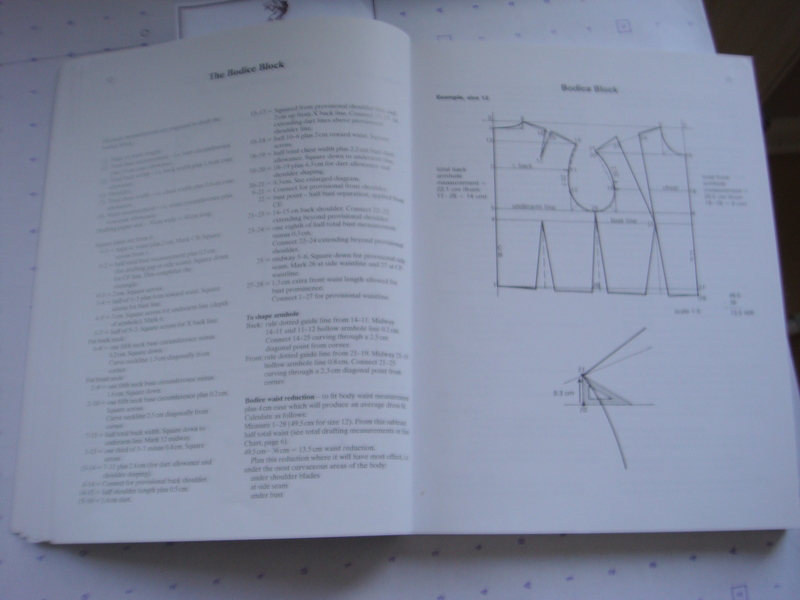 For the Colette patterns dress, I already have this pattern cut out from a while ago so I have simply cut out the muslin pieces with a bit of extra length to them as I think this is where I will need to alter it. 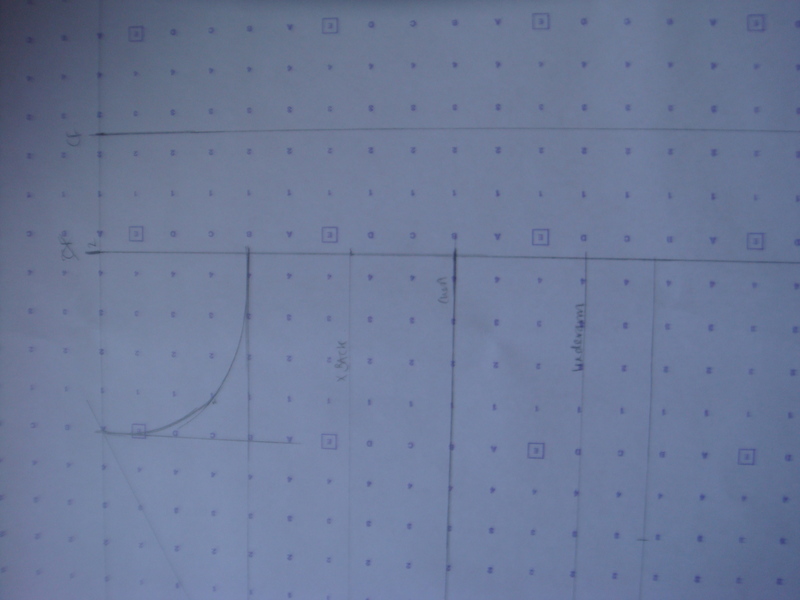 After considering the Simplicity dress pattern, I’ve decided that the best option for me is to use the size that corresponds closest to my bust measurement – as this would be the hardest piece to alter. I think I may add some length to the bottom bodice piece and then see how the muslin fits, before working out where to alter it! Yes that’s right, I am actually going to make toiles for these dresses. I usually skip that part – often wishing that I hadn’t. However to save time and calico, I’m only going to make toiles of the bodice parts as the skirts for all patterns are pretty simple. I’ve actually made a toile for the Vogue 1174 dress before, but it was so hideous, that I think the best approach for now is to just not think about it! « I do love a good challenge! I like your violet fabrics! Thank you Karin! I’m hoping that the violet won’t look ‘too much’, that it won’t make me look like some sort of liberty explosion! The thing I hate about toiles is doing them, they’re the one thing that makes me feel like it’s a chore! I’ll have to make toiles of all of my June Challenge dresses too. I can never do without one. It would just spoil the fabric. 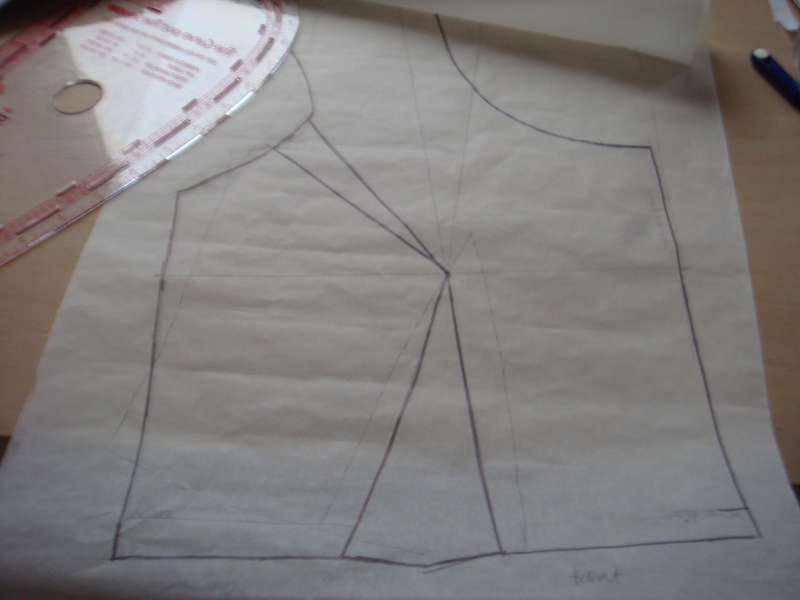 There are always changes to be made, especially for the bodice part, I often skip the skirt toiles too. Good luck with your fitting and toling. Looking forward to the results!